Portals of Sound is now on iTunes! Video Clip from Portals of Sound Cd Celebration with Deborah Brodey, Ian de Souza, and Guests on September 27, 2014 at Array Music in Toronto. This piece was a soul sound live co-creation and improvisation with the voice of one of my mentors, Shona Elder, Mandaza. Video by Rick Sacks. 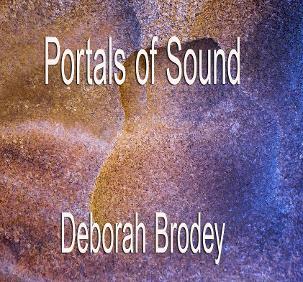 Deborah Brodey is a vocal sound healer, recording sound artist and singer. 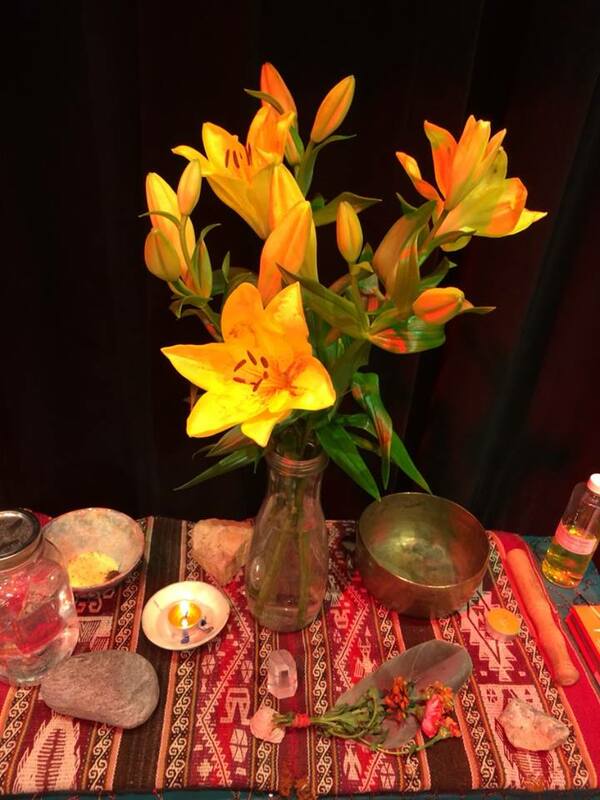 She has studied and practiced sacred sound and sound healing for over 12 years. She developed her capacities for improvisation while participating for many years in sound circles with composer Anne Bourne where ” Deep Listening” methods of Pauline Oliveros were practiced and cultivated. Deborah is a member of Hathorah, a sound healing collective based in Toronto. They have sounded together for many years as well as performed at various events including Nuit Blanche in 2008, 2010, 2011, 2012 and 2013 as well as opening for author Joanna Macy in Guelph, Ontario in 2009. Deborah is a sound healer with Music can Heal and is currently a part of the Gata Opera project by Irene Cortes which will be mounted in 2015. 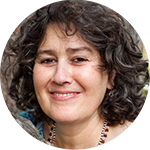 Deborah is passionate about sharing her love of sound with others through her individual and group work and sound is an integral aspect of her Radical Self Nourishment Programs and her Find Your Voice work. 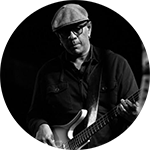 Ian de Souza is a bass player and producer who has recorded and played live to audiences in almost every corner of the world and in almost every idiom. A recipient of a Juno Award (2007), National Jazz Award (2009) and a Dora Mavor Moore Award nominee (2009), Ian has played with artists as diverse as Jeff Martin (The Tea Party), Issa (Jane Siberry), The Toronto Tabla Ensemble, Mariam Hassan-Tollar, Popo Murigande, Carole Pope, Bill Frissell, Cyro Baptista, Dbi Young, Denzil Sinclair, Stephen Paige and Colin James. He is a founding member of the Jazz/Canadiana/improv quartet, Sisters Euclid and is a long time collaborator with electronic duo LAL, and torch-folk singer, Andrea Koziol. Ian also composes music for film and dance, most recently, writing and recording the score for Vikram Dasgupta’s award winning short film, Calcutta Taxi (2012) and Dancemaker’s production of Nova Bhattacharya’s Red & Yellow (2011). I wanted to share with you how nourished and filled up I am internally from 3 days of listening to your magnificent CD. The gratitude piece sets the tone for the day and the Direction’s piece creates a container for the day. I feel so blessed and grateful to have access to your sound healing! In fact, I downloaded the pieces onto my ipad so I have it with me ALL the time. Thank you for sharing this gift with all of us! Congratulations! It’s beautiful. I love the length- 30 minutes is a good span of time for a wee break from the flotsam and jetsam of life. It truly is a portal as I traveled from the desert to a watery cave, to my inner landscape, to a spring meadow all from the safety of my arm chair. The musical arrangements support Deborah’s versatile voice without overpowering it while adding depth and /or joy just when needed. Lovely- well done! I’ll be using this CD to help me get back into my meditation practice. G.R. I have been listening to your CD as I practice. The sounds are strong, beautiful, soothing, and stimulating…They energize somehow an otherness to my own consciousness, an otherness that includes me. F.E.